We know Leicester isn’t short of burger restaurants, but with some of our favourites already keeping us busy in the centre of town it’s nice to see the love spreading to the periphery of the city. 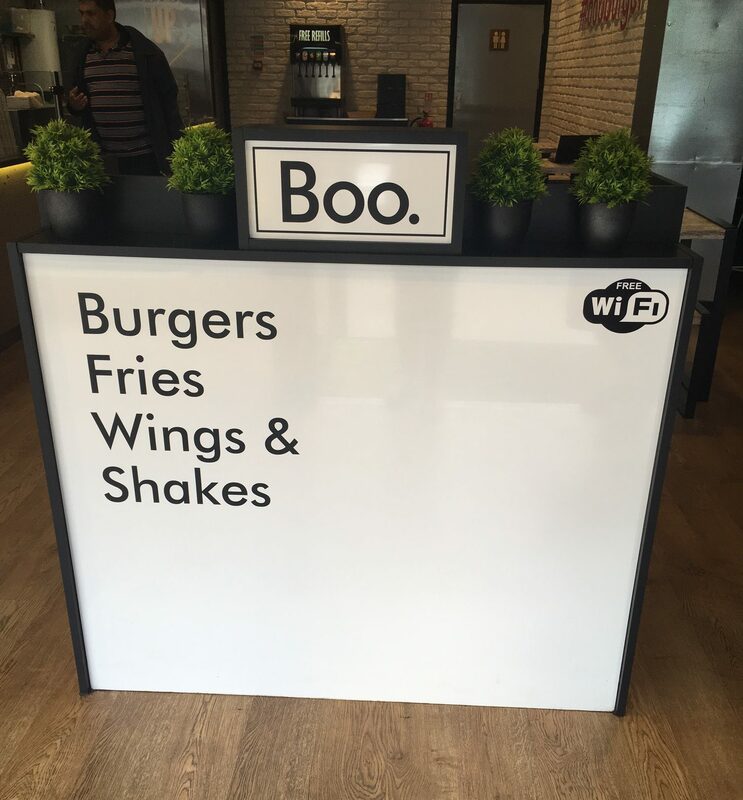 Boo Burger has opened up on London Road, just before you get to to Victoria Park, and with their excellent branding we couldn’t wait to see what they had to offer. 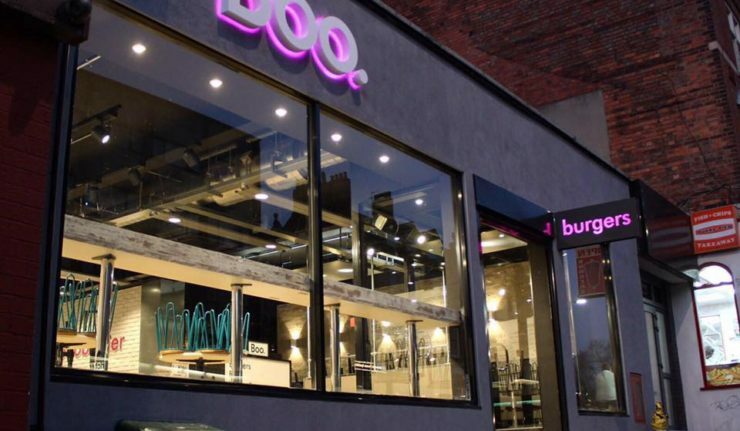 Boo opened earlier this year and offer a concise menu of burgers with beef, chicken and veggie options. This is the first opening from the owners but it’s clear that expansion is within their future plans. 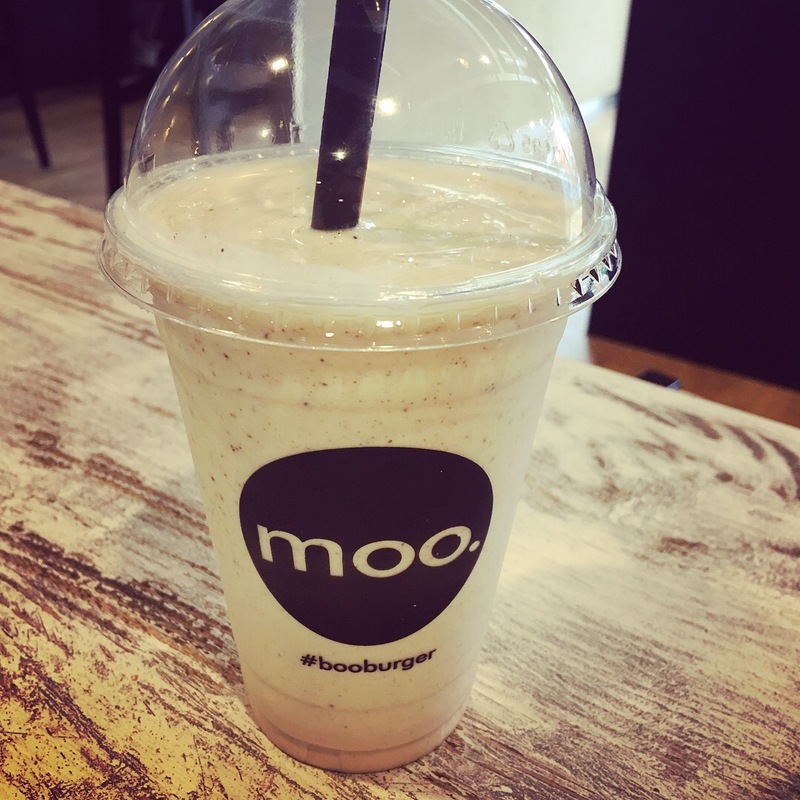 Their branding is really sharp and clean and certainly stands out amidst the mix of dessert parlours, shops and other restaurants along London Road so we popped in to see if the food lived up to it! It’s clear that the owners take a lot of care over their ingredients – the burger patties are hand made each day and the brioche buns come delivered fresh each morning from a local bakery, so it’s important not to tag Boo with the “takeaway” label in any way. The food is much better quality than that (although you can, obviously, get your Boo to go!). If opting for a beef burger you get the option of single or double, which translates to a 4oz or 6oz option (1 burger or 2) and depending on the hunger level plus which sides you have, we’d probably recommend going for a double. 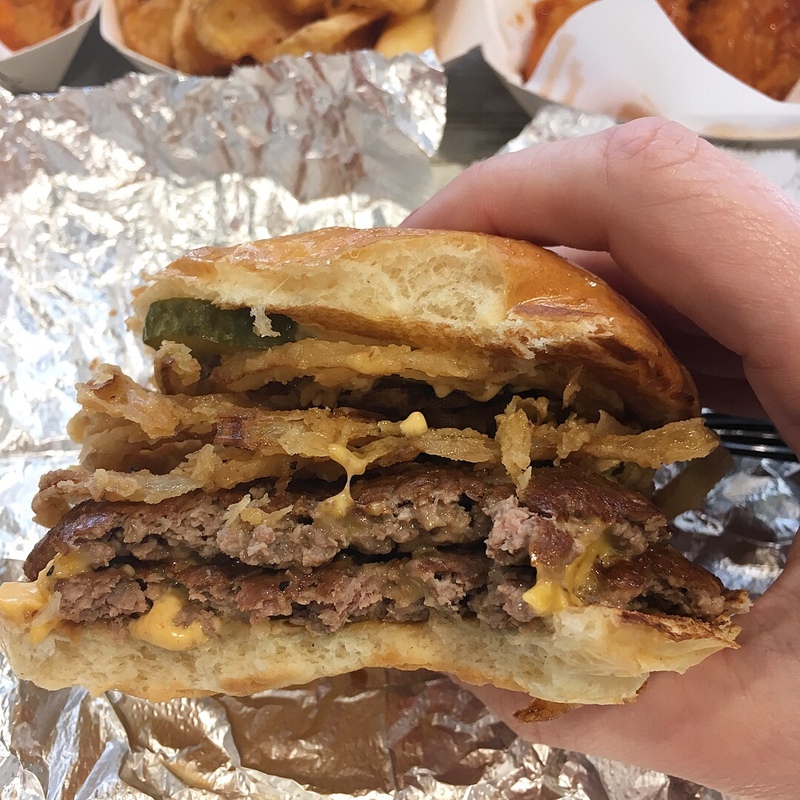 Now, if you’ve been following Boo Burger on social media you’ll no doubt have seen their onion strings (like onion rings but thinner, more of them and generally better), which were the first thing that pulled us in! These come loaded up on their Haystack burger as well as the Big Boo, and are definitely a highlight of the menu. The burger patties are admittedly quite thin, but they’re packed full of flavour and when going for the double option plus loaded onion strings it’s still a pretty hefty burger, so don’t go thinking they’re too small. Don’t fancy beef? 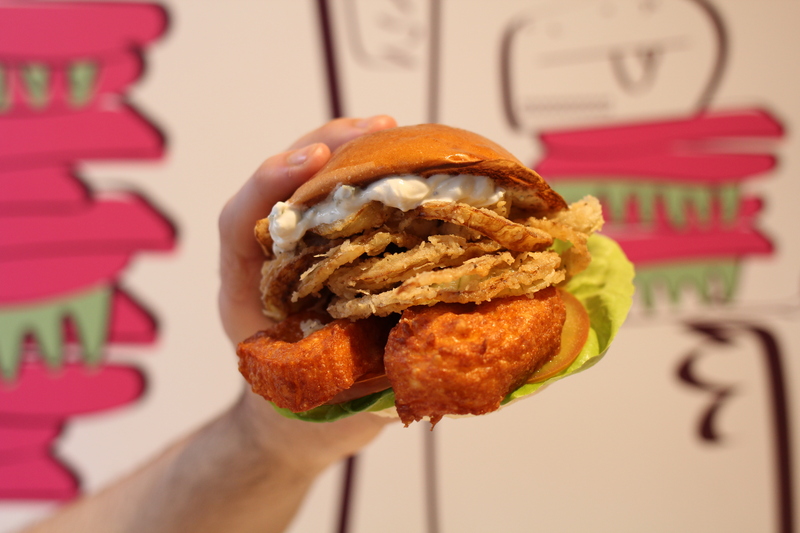 Boo offer the Chick-A-Boo burger, which is fried chicken breast fillets, or their Booloumi burger for their vegetarian option. The Booloumi burger deserves a special mention here for being the most impressive and heavily filled halloumi burger we’ve ever seen. If you have a penchant for halloumi, this is your place! The prices of the burgers come in at £5 for a classic single burger/£6.50 for a double or if you want The Haystack with onion strings you’ll pay £6 for a single and £7.50 for a double. With sides still to be added they may not be the cheapest burgers in town, but as we said at the start these are freshly made each day, so it’s important to take that into account. Furthermore their Chick-a-boo and Booloumi burgers both come in at a reasonable £5.50 each. Now, the sides. Wait for the fries, we’ll get to that. 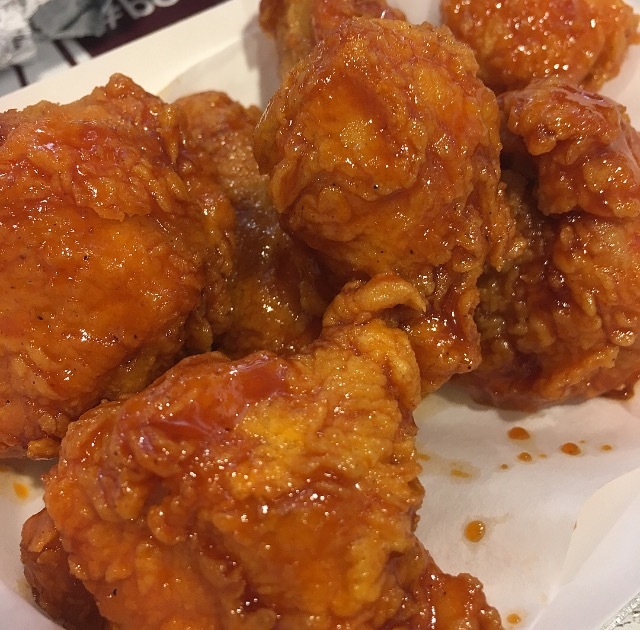 First let’s talk chicken wings and chicken bites. If you’re like us and prefer boneless chicken then these bites will be right up your street. Large pieces of succulent chicken breast come in either their house buffalo or sticky sauce and are a great addition to your meal. To be honest, they’d make a great meal in themselves if you didn’t fancy a burger! The buffalo sauce had a great kick to it but wasn’t overpowering and didn’t detract from the quality of the chicken, whilst the sticky bites provided a great contrasting flavour. The bites come in at £4 with the wings at £3.50, which seems reasonable given the portions. The fries are fresh cut skin on fries, which can be served with cheese sauce or a choice of their other home made dips. 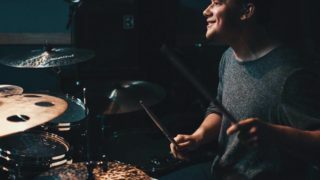 Although let’s face it, they’re just as great on their own. Perfectly crisp on the outside with a soft interior, you’ll end up finishing them even though you promised yourself you didn’t need to order them in the first place! 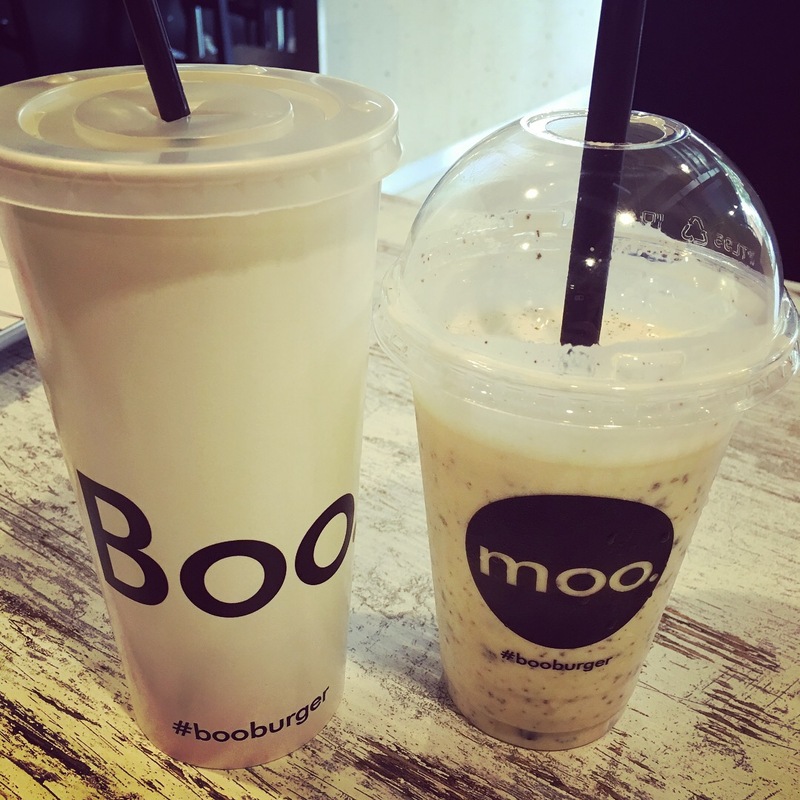 Boo don’t yet offer desserts but they do a range of milkshakes, which can easily double as a dessert alternative. Their Peanut Butter and Oreo flavours both proving a particular highlight. The owners did also tell us that dessert options are very much in their upcoming plans! Overall Boo is definitely worth a visit! The staff were excellent and very passionate about the quality of burgers they’re producing, the interior is quirky, on brand and family friendly (with a kids menu as well) and on visiting during a weekend lunchtime there was a great steady flow of customers coming through the doors. What’s more there’s a great attention to detail, such as when you order your food you’ll be given a Boo buzzer to sit with, which will vibrate when your food is ready at the counter. Their menu is fully Halal (which also of course means no alcohol is available) and it’s already proven to be a hit with Leicester City star Riyad Mahrez, so who are we to disagree? The prices aren’t the cheapest for burgers, but with Leicester’s range of burger establishments they certainly aren’t the highest either and furthermore for the freshness of the burger patties that you’re getting we think it’s worth it. Cool As Tip: The Haystack with onion strings or the Booloumi burger with a side of the sticky bites gets our Cool As recommendation this time round! Boo Burger is located at 138 London Road and is open daily from midday to 10pm. For more information please visit the Boo Burger website or find them on Facebook. 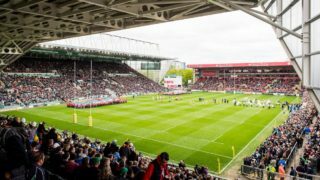 Now you can win a meal for you and a mate to head down and enjoy Boo yourselves! We’ve got a meal for 2 with your choice or burgers, sides and shakes to give away and all you need to do is full in your details below to be entered into the draw. The competition closes on Friday 22 September and the winner will be announced shortly after.